A successful courier business will have a reputation for delivering parcels on time, undamaged, with a proactive, prompt response to queries and complaints. As a baseline, it’s as simple as that. Beyond that you can go the extra mile: making sure packages are left in a safe, dry place when the recipient isn’t home, for instance; delivering packages with a smile; or shortening delivery times or cutting costs through innovation. While the unstoppable growth of online shopping is increasing demand, the sector is hugely competitive and high customer expectations are frequently not met. Some 28% of small-business owners polled by survey by Canstar Blue reported delayed deliveries, while 10% rated their most recently used service as unsatisfactory. Speed of delivery was the biggest influence on customer satisfaction, followed closely by complaint handling. Against this background, you can be confident of winning custom if you can attain or improve a reputation for reliability and great customer service. Having bought a courier business, the first phase of ownership is about listening – to customers and, if you have any, staff – and learning. Don’t make any drastic changes until you’ve familiarised yourself with the business – what works well, what works not so well – and the opportunities and threats in your market. Only then can you decide on the changes needed to attract new customers without jettisoning the business’s strengths and alienating existing customers. A quick and easy way of ascertaining your newly acquired business’s weaknesses is by trawling customer reviews on its Google business listing or Product Review.com.au. What are people complaining about? You can also invite feedback from customers as to what you could do to enhance their experience. Whether it’s late deliveries, damaged goods or poor customer service, you can’t rectify problems without identifying them first. How cost-efficient is your delivery vehicle or fleet? More recent or premium models can be cheaper in the long term, owing to better fuel efficiency and lower maintenance costs. The Australian government’s Green Vehicle Guide can help you cut fuel bills and environmental impact (perhaps you could pitch yourself as an eco-friendly courier?). Then again, newer models will be more expensive in the short to medium term because of higher upfront costs and/or lease payments. Perhaps you could you increase the number of deliveries per load by upgrading to bigger vans. Motorbikes or mopeds are much cheaper to buy and run and can bypass traffic, although their capacity is obviously much lower. CarsGuide.com.au offers advice on choosing the right commercial vehicle and financing options. Have you got the right delivery equipment to do the job quickly and, more importantly, safely? That obviously depends on the size and weight of items being delivered (or hope to deliver). A simple dolly or hand truck can be useful for heavy packages but you’ll need specialised dollies for furniture, appliances and other heavy items. Cargo straps, blankets, tape and other protective items will help you avoid in-transit damage. You’ll also need to keep on top of insurance renewal. Perhaps you can find a better deal – but only sign up to insurance that provides comprehensive cover. You may wish to review social media output, although in truth, in this sector you’re probably wiser to target most of your resources on SEO optimisation. Get onto page one of Google search results for key terms like ‘courier services in [your area]’ and you’ll likely notice an immediate uplift in queries. It’s worth optimising your Google business listing too. The courier sector doesn’t have the best reputation right now, but technologies like drones and GPS tracking are changing the way people see courier services. Through innovative processes or technology, disruptive upstarts are gaining a foothold in the courier business. People Post, for instance, apes the lower overhead Uber model. Innovation can cut delivery times, make it easier for customers to receive or pick up packages and cut your operating costs – giving you bigger profit margins or scope for price cuts. Could you rethink inventory management and warehousing to dispatch items more swiftly? Are you (if you’re a one-man company) or your drivers taking the most efficient routes? Are you using GPS to avoid traffic hotspots or to deliver at off-peak times? There are plenty of off-the-shelf online tools for couriers. For instance, Zoom2U is an online marketplace connecting couriers with delivery jobs. Premonition uses machine learning to optimise routes based on traffic, weather, delivery windows, incoming orders and returns, truck capacity, a driver’s final destination and consumer requests. And Getswift optimises routes, automates dispatching, tracks packages in real time and provides digital proof of delivery. Assess the effectiveness of customer service communication channels – like phone, email, ‘live chat’ or Twitter – and reallocate resources accordingly, perhaps introducing new channels or abandoning unproductive ones. If you’ve opted for the lowest risk route into the sector – franchising – then you’ll be constrained by the rules set down in the franchise agreement. In general, however, you’ll follow a tried and tested system but with some creative freedom in finding new customers. Check out the Franchise Council of Australia website for more info on franchising. Ready to deliver a quality service? Find your courier business or courier franchise resale. 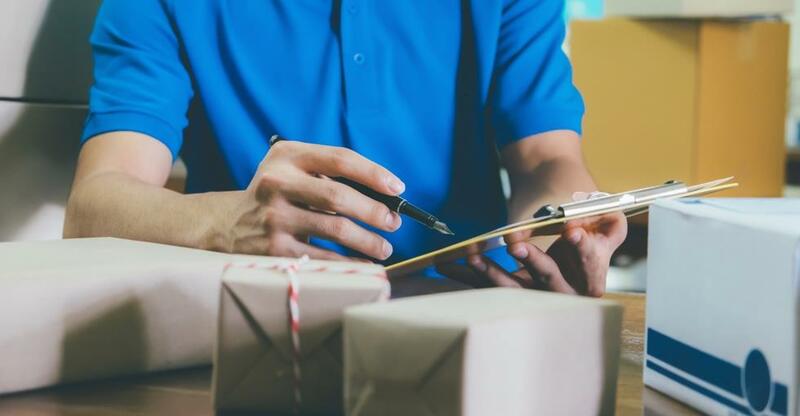 From finding buyers to prepping for due diligence, here are some tips for selling your courier business for a price that you deserve.